The weather may have taken another icy turn, however, the fashion industry continues to convince us its summer. Première Vision AW 19-20 tradeshow, the world’s largest textile & fashion fair, that brings together the entire fashion industry, took place in Paris this September, and Mod'Art Fashion degree students headed down to see what the new fabric and print trends for the future will be. 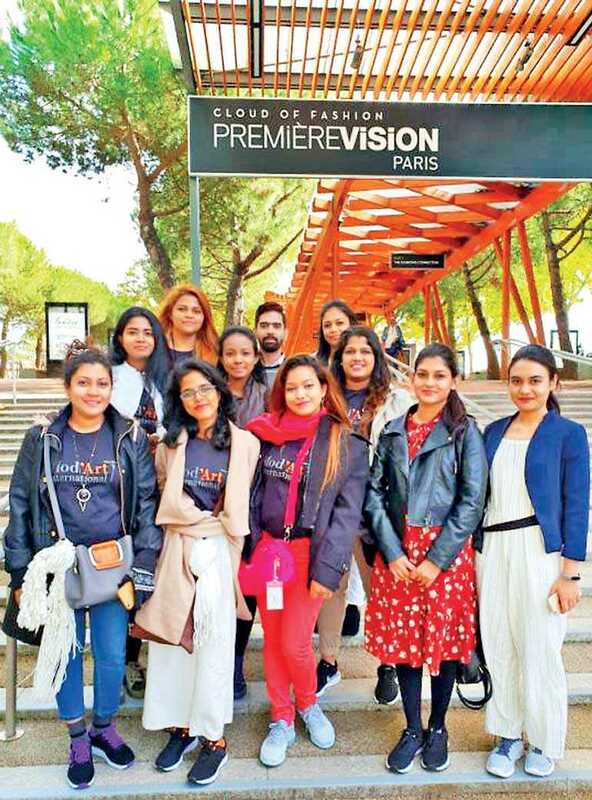 "Visiting Première Vision was a great opportunity for our students to understand how a large scale, international trade show runs and experience the vibrancy and buzz of global fabric and fashion trends! We were able to witness approximately 740 weavers from 50 countries present collections in synergy with both the fashion calendar and the apparel industry demands. Our students saw new trends of fabrics, yarns & fibres, accessories, style and colour ranges for the 2019-2020 Fall-Winter season", a spokesman for Mod’Art International Sri Lanka Branch Campus remarked. "For any career in fashion the understanding of the fabrics & trends is a must, therefore our students having the exposure to Première Vision trade shows during their degree study will definitely make them stand out & earn a good position in the industry easily," she further said. Première Vision is a must attend event for all aspiring fashion design students in Sri Lanka who are looking forward to experience innovations and trends among a crowd full of top most professionals. The utmost goal a student can achieve in studying Fashion Design with Mod’Art International is by specializing in women’s wear, men’s wear, kids wear, footwear and accessories, lingerie and haute couture as main streams. Along with these specialisations, the students are also able to study Fashion Marketing and Business Management as part of their curriculum. Aspiring students who wish to study fashion design in 2019 can enrol themselves for January 2019 intake at Mod’Art International Sri Lanka Branch Campus by calling the hotlines - 0779988285 or 112554398. More details about the French Fashion Degree Program can be obtained by visiting the website www.modart.lk.